~~Macclesfield based cloud computing firm Axon is revelling after being selected by Microsoft to present on stage at its esteemed Worldwide Partner Conference (WPC) in Orlando. A Microsoft Gold Partner, Axon was selected on the back of recent successes in providing Microsoft CRM Online and Office 365 solutions to its customers, with Technical Director Graham Fern invited to appear on stage to present the company’s achievements to fellow partners. An annual conference, WPC attracts some 16,000 Microsoft Partners from around the world and is held by Microsoft for its partner community to learn about the technology giant’s roadmap for the coming year, showcasing the latest product innovations and demonstrating company vision. 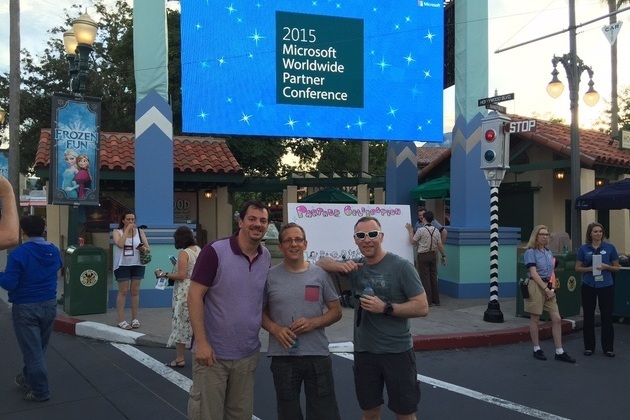 WPC 2015 took place from 12th – 16th July 2015 in Orlando Florida with highlights including a keynote from Microsoft’s CEO Satya Nadella, a demonstration of Microsoft HoloLens - the world’s first fully untethered holographic computing device, the introduction of Cortana Analytics - a fully managed set of services that help businesses transform data into intelligent action - and the announcement of Project GigJam – a new business collaboration platform. Axon provides cloud-based IT solutions to businesses across the North West including the provision of public, private and hybrid cloud solutions, VoIP telephony and technical support. In 2014 the business was recognised for its recent rapid growth, provision of technologically advanced business solutions and strategic plans for future expansion by being awarded Business of the Year: Turnover £1 - £5Million at the North East Cheshire Business Awards. This was followed in 2015 by being ranked as the 23rd fastest growing technology company in the North at the Northern Tech Awards 2015.